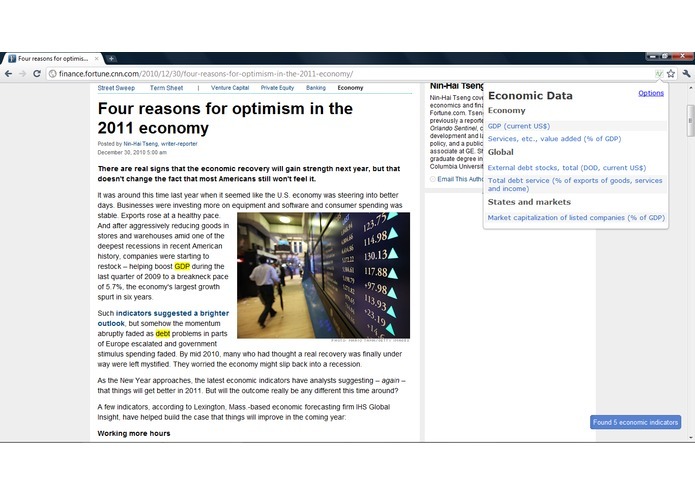 Economic Data Finder is a Google Chrome extension. It helps you quickly access economic data that gives you additional information on the pages you read online. Graphs of indicators such as GDP, inflation and many others are now just a few clicks away! 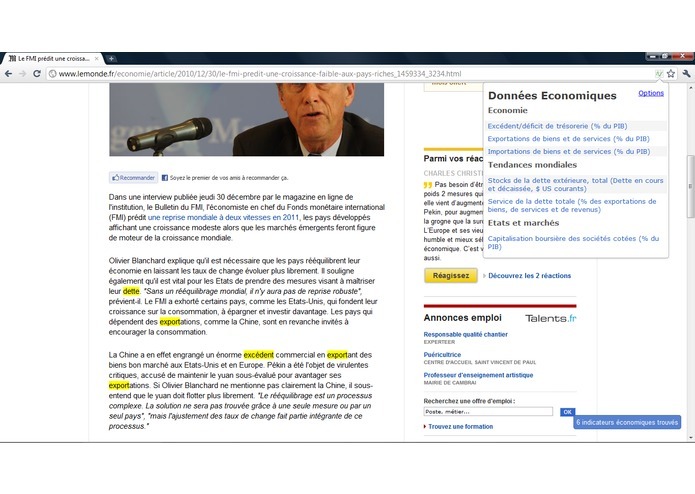 Those indicators are suggested based on the content of the pages you read. The current version uses a subset of the World Development Indicators from the World Bank. The graphs are from the World Bank's website. The languages currently supported are English and French.